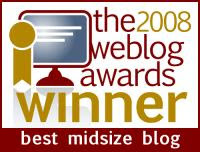 This is my 10,000th post since I started this blog in January 2006. It's kind of hard to believe, and I'd like to thank all of you for your support and readership, which has encouraged me to keep at this. If you've been around this blog long enough to read my profile, you know that I grew up in Boston and that I'm 'middle-aged' (unless you accept the assertion that 60 is what used to be 40, in which case I'm not there yet). Ted Kennedy was my US Senator for my entire childhood until I married, moved to New Jersey and switched my voting to there (I still vote in New Jersey in US elections). I grew up with the Kennedy's. 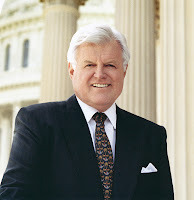 I can tell you the exact date of my earliest memory of Ted Kennedy: June 4, 1967. The place was Boston Common. For those of you who aren't Bostonians, think "Make Way for Ducklings." Not too far from where the famous statue now sits, and from where the story was situated, is a huge open area, the real Boston Common. And on that warm, sunny Sunday afternoon in June, 50,000 Bostonians rallied in support of Israel. My parents, my younger brother and I were in the crowd. Ted Kennedy was the featured speaker. I have no idea what he said that afternoon (I could probably look it up if I had the time), but the lesson learned was that Ted Kennedy supports Israel. Or as Mom a"h (may she rest in peace) would tell me, Joe Kennedy Jr. was the biggest anti-Semite at Harvard (where my uncle z"l - of blessed memory - was denied admission to the medical school because of a Jewish quota after graduating Harvard College with honors), but his brothers were different. Bobby Kennedy was certainly pro-Israel. Ted was too. "Senator Kennedy broke down the iron curtain that separated Soviet Jews from official US politicians," Jewish Agency Chairman Natan Sharansky told The Jerusalem Post on Wednesday. "He wasn't the only one, but he was one of the big figures, one of our biggest allies, for Soviet Jewry." In 1974, Kennedy was the first American politician to meet with Soviet refuseniks, paving the way for other American lawmakers to meet with dissidents and bring attention to their cause. "When we were in prison - when I was in prison - Senator Kennedy was one of the most important contacts for our wives and families," Sharansky said. "When my wife visited Capitol Hill, the first stop she made was at Senator Kennedy's office, and sometimes he even made it her ad hoc headquarters, allowing her to use the space to meet with other senators and officials. "Senator Kennedy was an important player both in public diplomacy and quiet diplomacy, and according to my wife, he also informed them about the steps that were being made through diplomatic back channels. I can tell you now that my wife knew some days before that I would be released, and Senator Kennedy was a crucial part of those negotiations." But Kennedy wasn't just a human rights advocate for Soviet Jewry, as important as that was. He was an advocate for Israel as well. In 1992, when president George H.W. Bush opposed loan guarantees for the resettlement of Soviet Jews in Israel because of settlements, Kennedy publicly rebuked the administration. Kennedy was also a major force in fighting the Arab League boycott and criticized the UN's anti-Israel tone. He was a strong advocate for recognizing Jerusalem as the undivided capital of Israel. "During his more than four decades in the US Senate, Kennedy consistently supported American assistance to Israel, particularly during the Jewish state's most trying times," the American Israel Public Affairs Committee said in a statement. His leadership in the Soviet Jewry movement, among other things, "are hallmarks of his historic career devoted to serving the best interests of the American people and our values." Longtime associates recalled that Kennedy embraced a pro-Israel stance during his failed 1980 presidential run against Jimmy Carter. Though he ultimately dropped out of the race, the Jewish community came out solidly for Kennedy during the Democratic primary, said Morris Amitay, who served as president of AIPAC from 1974 to 1980. "By then they realized that Carter was becoming increasingly negative [toward] Israel," said Amitay. That year, Kennedy also spoke to the Conference of Presidents of Major American Jewish Organizations, calling Israel a "tried, trusted, and true" friend. "Our alliance with Israel is an alliance based on common democratic ideals and mutual benefit. In the critical region of the eastern Mediterranean and the Middle East, Israel is a rock of strength, stability, and friendship," he said, according to a copy of his 1980 speech. "We must never barter the freedom and future of Israel for a barrel of oil - or foolishly try to align the Arab world with us, no matter what cost." Ted Kennedy may have done a lot of things wrong in his life. Unfortunately, one of the other sound bytes that resonates in my ears from my childhood was a couple of years after that Sunday on the Boston Common. It was hearing radio announcers intone over and over again about "the inquest into the death of Mary Jo Kopechne." But when it came to Israel and Soviet Jewry, his heart and soul were in the right place. We Jews and Israelis should appreciate that. I am from Mary Jo's hometown and we really don't see things that way. He tore a family apart, never even had the decency to call the family even after he had the nerve to show up at the funeral uninvited. He came from a long line of anti-semites and while he may have been touting refuseniks on the one hand, his public stance towards Russia was embarrassing. He was a womanizer, a drunkard, and a murderer who left a woman to drown to her death when he had ample opportunity to do something about it. He supported the 1980 platform to put the cause of the Palestinians on the democratic platform which has led us to the current narrative and has been awful silent in recent years vis a vis Israel and the palestinians.